How to export wechat messages from broken iPhone to computer? 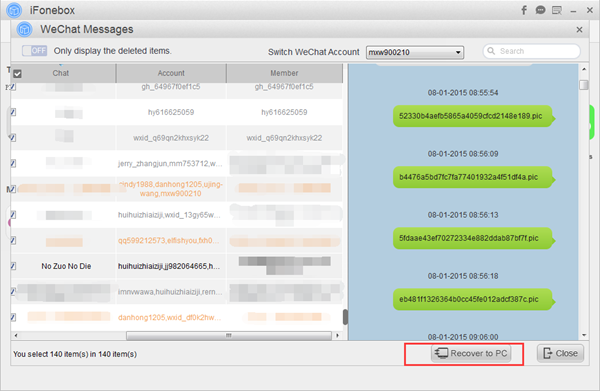 How to transfer wechat messages to PC from broken iPhone? Read here to download wechat texts to PC from broken iPhone. How to export wechat messages from broken iPhone to computer? It is pretty unlucky to make your iPhone broken with some unknown reasons. When it comes to broken iPhone, I think the most emergent thing is to export important data from your broken iPhone to computer so as to better keep them, just like wechat messages. Thus, is there any way to transfer wechat messages to PC from broken iPhone? Absolutely yes. In order to download wechat messages from broken iPhone to computer, I think you need to rely on the help from iFonebox, a professional iPhone data recovery and iPhone data transferring software. 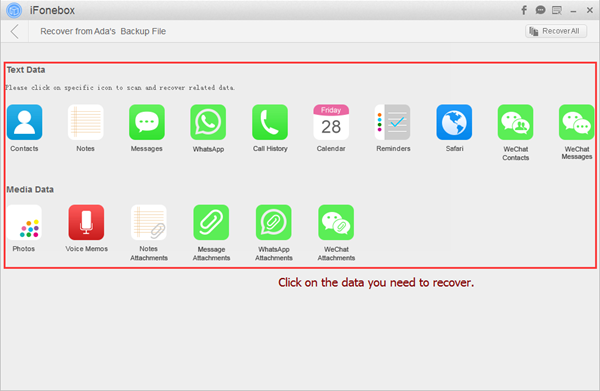 Recover up to 16 types of data from iPhone/iPad/iPod Touch, including contacts, text messages, notes, whatsapp messages, wechat messages, wechat contacts, attachments, reminders, etc. You have to download and install iFonebox on your computer ahead so as to use iFonebox to export wechat messages from broken iPhone to computer. It works for both Windows and Mac computer, so just choose one to install according to your computer system. 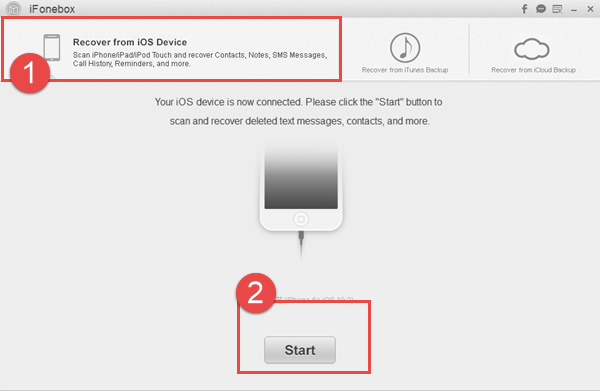 How to transfer wechat messages to PC from broken iPhone? Now, you can follow the simple steps below after installation of iFonebox. My computer is Windows 7. So, take iFonebox for Windows as example. --Launch iFonebox. Choose Recover from iOS Device mode. Please connect your iPhone to the computer so that iFonebox can scan and analyze WeChat messages from it. Click "Start" button to begin. If it is the first time for you to connect iPhone to computer, you have to trust the computer firstly via click Trust on your iPhone screen. --Scan WeChat Messages from iPhone. Click on WeChat Messages icon to start scanning. It will take longer time if you have a large data for wechat messages on iPhone. --Preview and select all wechat messages to transfer. 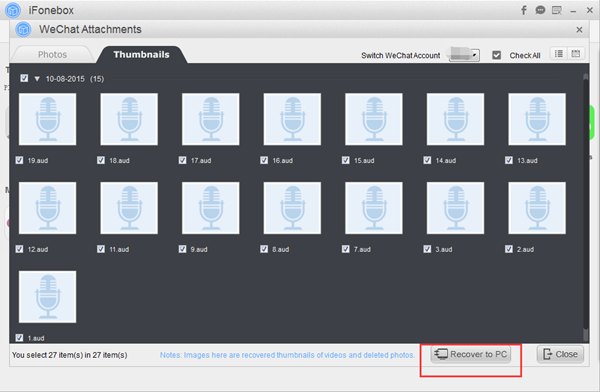 After scanning, you can choose all wechat messages and then, click "Recover to PC" button to transfer all of them to your computer. Sweet reminders: If you have an iTunes or iCloud backup for your WeChat messages, you can also choose Recover from iTunes Backup or Recover from iCloud Backup to download wechat messages to your computer from iPhone backup instead of broken iPhone.